June is a month we celebrate Father’s Day…and how often we see in dreams male figures who come in many ways…fatherly, manly, frightening, challenging, dismissive and more. When we step into a dream we explore these figures to see what it is they want us to know about ourselves, our relationships and what it is they want us to feel…often under the surface story of the dream. 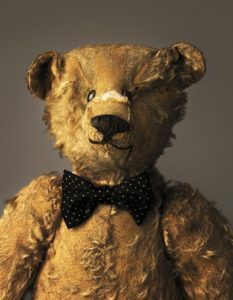 Dream – My father is here and is telling me a story about a toy he had as a boy but had kept with him – a stuffed bear. 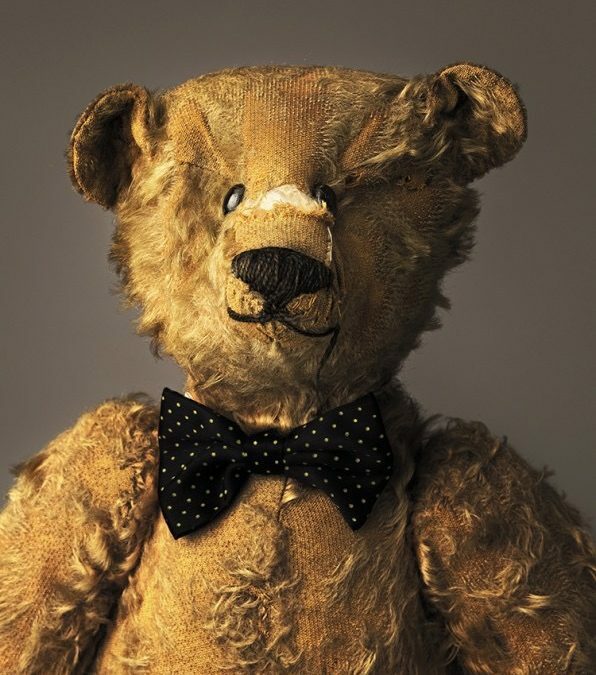 It reminded me of a boyhood friend’s bear who was threadbare from being held so much. My father was telling this story in a very engaging manner, very different from how he was; he seemed very charismatic and also very aware of desiring connection, very open and connective. He talks about how he had this bear through many circumstances, even in the army, even in battle under gun fire (never was in battle). But then at some point, he lost the bear or threw it out. The story seemed warm and human. Our waking experience of our parents, here the father, can be different from what our dreams bring. The dreamer did not have an experience of closeness with his own father…quite the opposite…his experience of his father was one of absence and aloofness. Our dreams know there are two fathers…our outer world father…and the inner father…our connection to something larger than ourselves. When the outer connection is frayed, even seemingly destroyed, we often lose the inner connection as well…the place of love and support from the inner father…we lose trust that we can be loved in this way. And there is a lovely and tender teaching in the dream. The dream father is sharing with his son how he lost or threw away his stuffed bear…how somehow he, too, lost connection to his own boy soul, his own inner father. In that moment the dreamer could feel both his loss and his father’s loss…how there was a connection between them in this place. The dream medicine, the feelings of hope, loss and longing for the father, helped the dreamer feel a tenderness towards his own father and the love and support of the inner father…how much he, the dreamer, mattered to him.